V.S. is a bold yet harmonious blend reminiscent of robust spice and fruit flavors, punctuated by fruity notes and delicate vanilla nuances. Smooth and complex, Hennessy V.S. 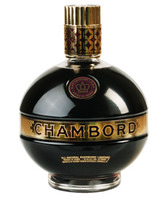 is the symbol of a bold cognac appreciated for its elegant, vigorous, fine and lively notes.